This article by Dr. Karen Becker discusses how rotating proteins and food types—especially for kitties—benefits your pet in many ways! I often emphasize the importance of variety in the diets of cats and dogs, both in my practice and here at Mercola Healthy Pets. Just as humans benefit by eating a variety of foods, so do companion animals. One very important reason for offering your pet nutritional variety is to help prevent food allergies. When the same food containing the same protein (especially if it is low quality, rendered protein) is fed day in and day out for months or years, intolerances often develop. Many pet owners settle on an inexpensive commercial pet food their dog or cat seems to love, and they feed that food – and only that food – for long periods of time. Eventually, many of these pets develop sensitivities to certain ingredients in the food, often the low-grade protein source. Now, according to a recently published study, there’s another reason to offer variety in your pet’s meals – especially if your pet is a cat. This Saturday, October 6th from 8am-noon, join us at Mukwonago’s Field Park for Mukwonago’s First Annual Bark for Life! This is a walking event for our canine friends. Registration is $20 before Saturday or $25 on the day of the event. There will be goodie bags for the dogs and cupcakes for the humans :) You can also enjoy the Bake Sale, Raffle & Pet Costume Contest with Photography by Elizabeth Murphy. This event is sponsored by End of the Leash and supported by For Pets’ Sake. 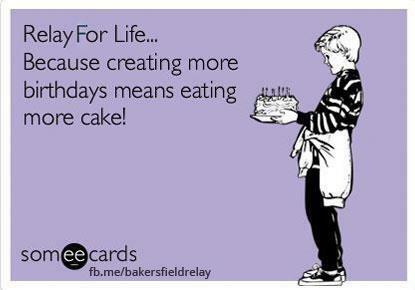 To learn more, visit the Relay For Life of Mukwonago Facebook page. Come out and support us and Bark (and Relay) For Life! The lucky family that adopts this pet featured here on our blog will receive a coupon from Lakeland good for a “congratulations” gift bag from End of the Leash! To learn more about how to adopt through Lakeland, please visit their adoption page. You may also give them a call at 262.723.1000. Gwen from Lakeland is featured here today. Sweet Gwen still needs a forever home! Gwen arrived at the shelter in December of 2009 as a stray. You may notice that one of her pupils is larger than the other. Nothing is really wrong with her—she can see just fine. She has been examined by a vet and though the cause is unknown due to her “stray” status, it is possible she was hit in the head abruptly. Gwen enjoys the company of other cats and also likes dogs. Come to Lakeland and meet Gwen today! Mark your calendars for the next EOTL Pewaukee Nail Clinic from 10am-2pm on Saturday, October 13th! Klips by Kate from New Berlin will be providing the nail service for October’s clinic. See you there! PLEASE NOTE: Dr. Witte WILL NOT be here on her normal 2nd Thursday, October 11th. Her next visit will be Thursday, October 25th. You can also make an appointment for a consultation with Dr. Witte to discuss holistic options for your pet (nutrition, supplements, essential oils etc…). The adorable Clarice! Photo property of Vision Photography.Ho, Ho, Ho! A Christmas Card Idea for You! Would you like to send out a Christmas card featuring your favorite furry friend? Lori from Vision Photography will be at EOTL Mukwonago on Saturday October 27th to take your pet’s picture! Photos will be fully photo shopped and cropped, and you will receive a CD with a minimum of 5 shots (more if your pet loves to pose!). Call us at 262-363-3338 to schedule your appointment! Have a lovely week with your furry friends! Pewaukee Nail Clinic & Mukwonago Lakeland Visits This Weekend! Do You Know What's in Your Pet's Treats?